Prequels to beloved movies always are a dicey proposition. First and foremost, there’s the simple fact that the audience already knows how the prequel will end, based on its prior experience with the original movie. Second, prequels set up thematic and plot expectations in much the same way sequels do, only with more stringent continuity requirements. And finally, a whole lot of people didn’t like the movies that popularized prequels, and they still have Jar Jar flashbacks whenever the word “prequel” is uttered. Faced with those obstacles, it’s understandable that Oz the Great and Powerful met with some skepticism when Disney first announced that it would be the predecessor to the 1939 The Wizard of Oz. This movie would have to beat the odds if it wanted any chance at pleasing folks, and, as it turns out, it comports itself quite well in the land of Munchkins and witches. 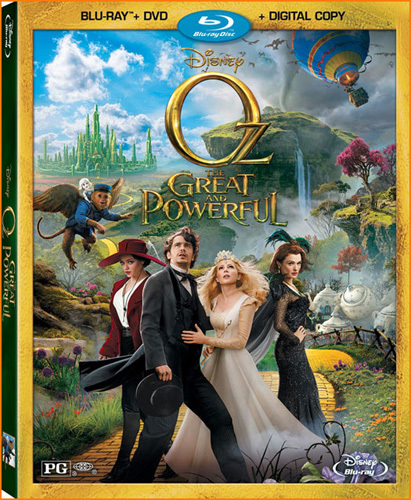 Where The Wizard of Oz is about Dorothy Gale’s journey into and through a magical kingdom, Oz the Great and Powerful sets its sights on the Wizard himself. 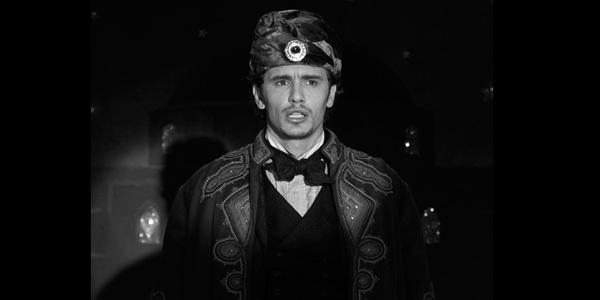 James Franco plays the titular sorcerer, and we learn that “Oz” is a nickname for Oscar Diggs, a stage magician in a traveling carnival passing through Kansas in 1905. The movie opens in black and white in a nod to The Wizard of Oz as we meet Oz and learn that he is every bit the stereotypical charlatan and huckster. Working out of a ramshackle wagon, Oz dazzles his audiences with cheap tricks and has a penchant for seducing his female magic assistants. He picks the wrong girl to woo and soon finds himself on the run from her circus strongman boyfriend. Oz ends up fleeing the scene in a hot air balloon that careens straight into an oncoming tornado. As the storm whisks Oz away to the land of, well, Oz, the screen widens and color bleeds over the black and white. A young witch named Theodora (Mila Kunis) discovers Oz when he crashes into the magical land. She helps him out of the pond where his balloon has swamped and tells him about a prophecy that a wizard would come from the sky to save Oz from the wicked witch. Hoping to score some prestige in this strange kingdom, as well as hoping to score in general with Theodora, Oz goes along with the prophecy and props himself up as the mystical wizard who has arrived to save the world. She takes him to meet with her sister (Rachel Weisz) in the Emerald City, who tasks him with seeking out the wicked witch and destroying her wand, the source of her evil magic. Thusly obligated and still trying to pretend that he has legitimate magical powers, Oz sets out along the Yellow Brick Road to prove his worth and to secure his throne as the king of the land. 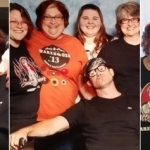 Along the way he assembles a very Oz-like band of companions and even crosses paths with a familiar character or two from the original movie. 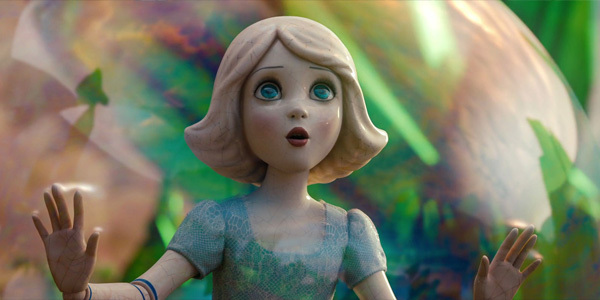 Oz the Great and Powerful is a very contemporary fantasy in that it relies heavily on CG for its effects, and quite a few shots are arranged very obviously for the benefit of 3D. The CG here almost universally is shiny, vibrant, and glossy, giving the whole movie a fantastical look and feel that, while quite different from the practical sets and effects of The Wizard of Oz, still manage to capture a similar air of wonder. This is different territory than we’re used to seeing from director Sam Raimi, who has shown us gritty and stylistic CG in Spartacus, real world graphics for his Spider-Man films, and awesome practical effects in his Evil Dead movies. Here the color saturation is amped to the max, and the screen practically bursts with gorgeous vistas and animation. While straying from practical effects in a very deliberate and committed way, Raimi recalls the essential aesthetics of Oz in a way that feels natural and welcome. The Yellow Brick Road looks as it did when Judy Garland skipped down it, the Munchkins wear the same ridiculous suits and hairstyles as before, and flying monkeys still dress like bellhops. Everything from the Emerald City to the poppy fields looks just as we remember it from the 1939 movie, and design details like these help bind the two movies together in a way that makes Oz the Great and Powerful a prequel that actually works quite well. I won’t spoil any of the plot turns or story details, but suffice to say that the Wizard’s tale fits very nicely with our expectations and complements what we already know from the earlier film. Joining Franco, Kunis, and Weisz in the cast are Michelle Williams, Zach Braff, Bill Cobbs, Joey King, and Tony Cox. Sam Raimi’s buddy and frequent cohort Bruce Campbell even shows up in a brief but memorable cameo. Several of the actors play double roles, again mirroring the double casting of the original film that has some actors playing characters in Kansas and their analogues in the land of Oz. 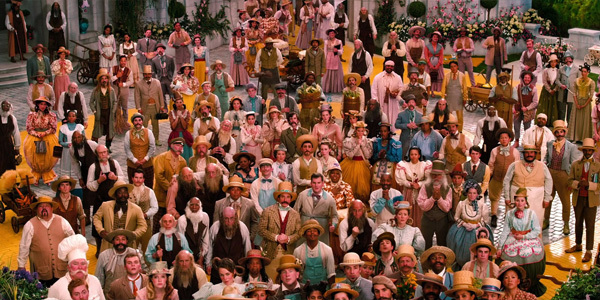 So much of Oz the Great and Powerful refers to design, pacing, and plot decisions made in The Wizard of Oz’s production that it all seems very familiar. 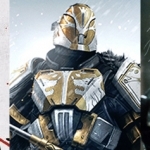 The connections always feel like loving ones and not just cheap rip-offs, and it’s obvious that the creation of this prequel is based on a lot of respect for what has come before. It’s based on a lot money, as well, of course. Piles and piles of it, based on the box office returns, but there’s respect in there, too. Trust me. 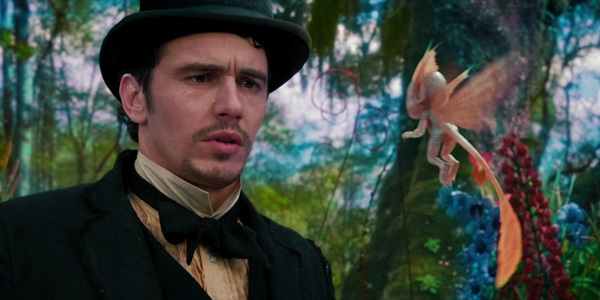 Oz the Great and Powerful is a fun film that pulls some of the key DNA from The Wizard of Oz to spin its own prequel tale. It presents a modern but still faithful revisit to the land of Oz that also dips occasionally into territory reminiscent of 1985’s Return to Oz (the flying baboons are 2013’s Wheelers). There are some spooky moments, but overall Oz the Great and Powerful should be just as accessible and enjoyable for kids as it is for adults. Contest: Win The Jungle Book on Blu-ray! Contest: Win The Conjuring 2 on Blu-ray! Contest: Win The Nice Guys on Blu-ray!